Ever since leaving campus this summer, I have truly missed waking up everyday to a campus full of my closest friends. 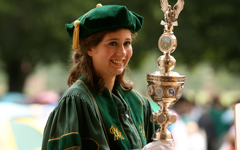 Each student at William and Mary inspires me, and I am honored to call myself a member of the Tribe. Waking up early to go into work on a Saturday, I was missing school a bit and decided to show some school pride by sporting a William and Mary t-shirt. I jumped on the A subway uptown, and after the doors closed, a man walked up to me and said his son really wants to go to William and Mary. He started asking me statistics, asking me how his son could get in. I told him there was no magic formula, but that his son should just be himself when filling out his application. He got off at the next stop, and a woman walked on and took his place. She, observing my shirt as well, said, “Oh, quite the up and coming school I hear.” I smiled and told her it was a great place. It wasn’t long until a THIRD person commented on my shirt within a five minute span. He told me that he graduated from William and Mary and never missed a homecoming. He made me promise that I would do the same. I swore I would. By the time I got off of the subway, I was ready to talk William and Mary with just about anyone who would hear it. 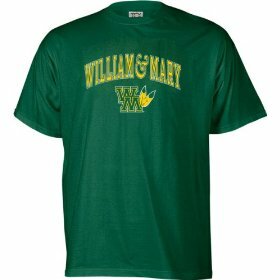 It wonderful to know that hours away, William and Mary causes just as much excitement as it does in the good old Williamsburg.